Much is made of Walt Whitman's misadventures as a school teacher in Southold, on Long Island's North Fork. Less well known, save among serious Whitman scholars, is the fact that America’s Good Gray poet regularly later frequented a nearby town -- the burgeoning whaling town of Greenport -- from his early 20s, in the 1840s, through the beginning of the Civil War. There was a good reason for it -- a dutiful family member in the Whitman household, Walt seems to have felt a responsibility to support Mary Elizabeth, his younger sister, who was in something of a difficult marriage to one Ansel Van Nostrand, a local ship builder. Ansel, accounts have it, was a heavy drinker, and despite fathering several children with Mary (constituting the principle line of descent for Walt Whitman Sr and Louisa Van Velsor), he did not make things easy on his wife. The situation may have been problemmatic, but the ride out was a pleasant one for the gregarious Whitman, we're told -- though somewhat more of a commitment than hopping on the Hampton Jitney like people do these days. By horse-drawn coach, t took two and a half days from Brooklyn to the North Fork of Long Island. Still, Whitman is said to have made the most of the trip, and in typical fashion enjoyed riding out in the open air with the driver, a fellow named Hull Conklin. Whitman tips his hat to these influences in shaping his own work. “If I had not stood before those poems with uncover'd head, fully aware of their colossal grandeur and beauty of form and spirit, I could not have written "Leaves of Grass,“ he writes in A Backward Glance. But ever the 'Barbaric Yawp' guy, Whitman throws in more than a few caveats. Whitman visited the North Fork of Long Island for decades, usually in the summer or fall. Sometimes staying with Mary and Ansel at their home near the corner of South and Third Street in Greenport, other times in one of the various inns in the growing town. By the 1850s he was riding out on the Long Island Railroad, clear to Orient. When he wasn't tending to family matters or wandering the countryside, Whitman hung about town. He’d fish from the piers, engage the locals in conversation, and sometimes strike up somewhat flirtatious friendships. It was, said Walt, an opportunity to ‘scare up’ examples of humanity in all its display -- from the heroic and spiritually involved to the mundane. How mundane? In one telling, if anecdotal, incident, a boatload of 19th century pleasure-seekers basically pick him up for a jaunt out to Montauk Point, where they all spend the night -- on board the sloop, moored under the stars. One suspects Thoreau might have disapproved -- there was much throwing of hats in the air and other displays of mid nineteenth century merriness. Whitman readily confesses they “hurled stones at the shrieking sea-gulls, mocked the wind, and imitated the cries of various animals in a style that beat nature all out!" OK. On the face of it, it's not one for the 'Hindoo texts'... sounds a bit like a 19th century tailgate party. But as recollected by Whitman there's that 'something else' going, a perception given to us by one of the great American Transcendentalists, an experience in possession of a quality of magic and charm that communicates itself 150 years since the incident occured. Yet on reflection, America's Good Gray Poet manages to find the transcendental center before concluding his reminiscence:“to bend over and look at the ripples as the prow divided the water -- to lie on my back and to breathe and live in that sweet air and clear sunlight -- to hear the musical chatter of the girls, as they pursued their own glee -- was happiness enough for one day." That's why to this day, I like to return to old Walt and his reminiscences. Reading his words, it's neither1862 or 2012 anymore. You can almost forget about the world and its troubles for a moment. You can almost hear Whitman hear it. 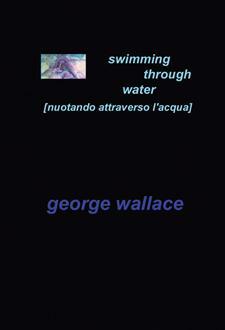 Feel Whitman feel it.You can almost lie back and put your hand in the water and experience the plashing waters yourself. 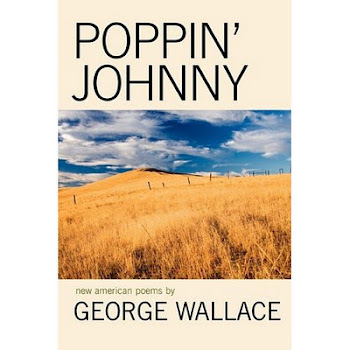 In these poems, George Wallace recounts travels through Iran, Afghanistan, Pakistan and India -- including a visit to the Dalai Lama and a trek which brought him to the top of the standing Buddha of Bamyan. 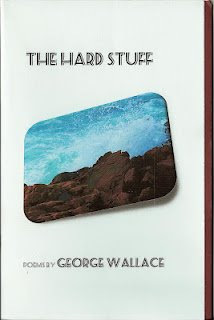 George Wallace is writer in residence at the Walt Whitman Birthplace, author of thirty chapbooks of poems, editor of Poetrybay.com and associate editor of Great Weather For Media. 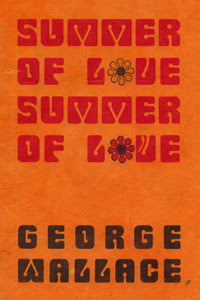 George was first poet laureate of Suffolk County LI NY and for the first National Beat Poetry Festival. A writing professor at Pace University and Westchester Community College, he is a prominent member of the New York City poetry scene, and travels throughout the US and in Europe to perform his work and teach writing workshops.